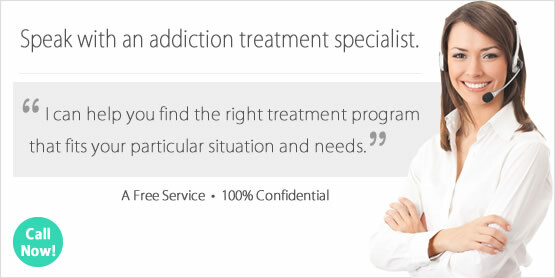 Looking for a Drug Rehab or Alcohol Rehabilitation in Arizona? Willpower isn't a technology known to effectively resolve addiction, and what Arizona residents who are struggling with addiction need is real answers and solutions. Drug rehab programs in Arizona provide and outlet for anyone dealing with drug or alcohol addiction to do something effective about it. There are different programs for different addictions, degrees of addiction, etc., so one programs which is right for one person may not be right for the next. This is all something that needs to be evaluated by treatment specialists who can help assess what the right program is based on substance abuse histories and other variables that will need to be taken into consideration. The first step to getting help for any type of substance abuse problem in Arizona is speaking with a treatment counselor today who can help determine which program is right for you or a loved one. They can also discuss information regarding payment options and interventions when necessary. In 2014, there were an estimated 20,370 people in Arizona receiving substance abuse treatment. Out of these clients in treatment in some type of rehab programs, the largest percentage were there for abuse or dependence to amphetamine with over 20% of admissions reporting amphetamines as their primary drug of abuse. Amphetamines are basically stimulants, and methamphetamine and crystal meth or 'ice' would fall into this category. Amphetamines are among the most physically and psychologically addictive drugs, and cause extreme physical and psychological devastation among users unless treated early and aggressively. Just behind amphetamines is heroin, which accounts for an estimated 18.5% of treatment admissions just last year in Arizona. In a very similar category is other opiates, such as prescription pain killers, which are also abused at very high rates in Arizona and accounted for 7% of admissions. So between heroin and prescription pain killers, opiates account for more treatment admissions than even amphetamines when considered as one category. Because heroin and prescription pain killers are really all in the same category in terms of their addictive quality and devastating effects on the abuser, the need for effective treatment for Arizona residents who do become involved in opiate abuse has never been greater. Nearly 18% of treatment clients in drug rehab in Arizona last year were in treatment for alcohol use only, and another 14% were in treatment for alcohol use and a secondary drug. So as one can see alcohol is a very large part of the problem in the state. Alcohol is one of the biggest drug problems in Arizona, and as can be said about the rest of the nation, is a problem which can go untreated and even undetected because alcohol abuse is socially acceptable for most of the population. Because alcoholism kills tens of thousands each year, it is a problem which must be aggressively treated among Arizona residents, where 432,000 individuals aged 12 or older report being dependent on or having abused alcohol within the past year prior to being surveyed. In 2014, over 3,600 clients were in alcohol treatment in Arizona, and nearly 2,800 additional clients reported alcohol as the primary substance of abuse but were also abusing a secondary drug. This indicates that many Arizona residents struggle with a poly-drug abuse problem, and alcohol treatment should be just as aggressive as any other drug treatment so that it doesn't progress to such a problem. Only 10% of individuals who participate in 12-step programs avoid relapse, so anyone in Arizona in need of alcohol treatment should explore the more aggressive options which may include inpatient or residential treatment in a long-term setting that provides alternative treatment. There are around 251 outpatient drug rehab programs in Arizona, with nearly all providing regular outpatient treatment of just one day per week, which typically entails counseling and therapy services in both an individual and group setting. There are 160 of these programs which also offer more intensive treatment for several days per week, and these programs also provide traditional therapy and counseling but some provide alternative treatment as well, such as behavioral modification and motivational therapy. Day treatment/partial hospitalization drug rehab in Arizona is available in 25 facilities, and may be more appropriate than less intensive outpatient programs for individuals who need a more structured treatment regimen. Clients in such a program will take place in treatment on a daily basis, but will not be obliged to remain at the facility upon completion of daily treatment activities. Treatment may also include more intensive and specific treatment those who need to also address a co-occurring mental health disorder while in treatment, also known as dual diagnosis treatment. There are 21 inpatient programs in Arizona, with 14 providing detox and treatment services and 15 providing inpatient detoxification services only. Inpatient treatment programs in Arizona offer a treatment plan that will be reflected in the client's daily activities in the program, which are very structured and are typically part of a daily schedule the client will be obligated to follow. Unlike an outpatient program, and inpatient facility will be the client's residence until treatment is complete, which is short term treatment is 30 days and long term treatment 60-90 days or longer. What does Inpatient Rehab in Arizona Involve? Inpatient clients in Arizona can expect to participate in either a short term 30-day program or a long term program which could last anywhere from 90-120 days. An inpatient facility provides a drug free environment which can greatly lower the risks associated with relapse, and also provides a constant support system which many addicts benefit from during the treatment process which can be extremely challenging throughout the entire program. Clients can expect to take part in substance abuse counseling and relapse prevention, as well as cognitive behavioral therapy, motivational interviewing, anger management, trauma-related counseling, and the like. Inpatient treatment in Arizona very often includes treatment for dual diagnosis patients, who have also been diagnosed with a co-occurring mental health disorder, which will need to be treated concurrently. While this could also be treated in an outpatient setting, there are less setbacks when clients are in a more intensive inpatient setting where there are less emotional and psychological triggers. What does Outpatient Rehab in Arizona Involve? Depending on how intensive of an outpatient option is, clients can expect to take part in treatment services as little as one day per week or as much as 7 days per week. If taking part in a program that deliver traditional outpatient treatment services, clients will participate in group and individual therapy and counselling, with many programs operating off of the 12-step model. There are other models available for clients who would prefer an alternative, such as the Matrix model or holistic therapies. There are also a large number of outpatient facilities in Arizona providing opiate maintenance services, which administer prescription drugs such as methadone and buprenorphine to clients who are opiate dependent and don't feel that can stop taking opiates completely without relapsing. There are over 6,370 outpatient clients participating in opiate maintenance services in the state. This isn't surprising, seeing as there are so many residents in Arizona struggling with opiate dependence, and very few programs offering these individuals the opportunity to live a completely drug free life. Opiate dependent clients who want an alternative to a life time of opiate dependence, whether it is to heroin or methadone, would benefit from the most intensive programs in the state which require in an inpatient or residential stay of at least 120 days.